Since opening our Tap Yard in December 2017 we’ve served up over 10,000 glasses of our flagship beers, sold nearly 11,000 bottles from our seasonal ranges, collaborations and other breweries and in the last two months filled nearly 800 growlers. 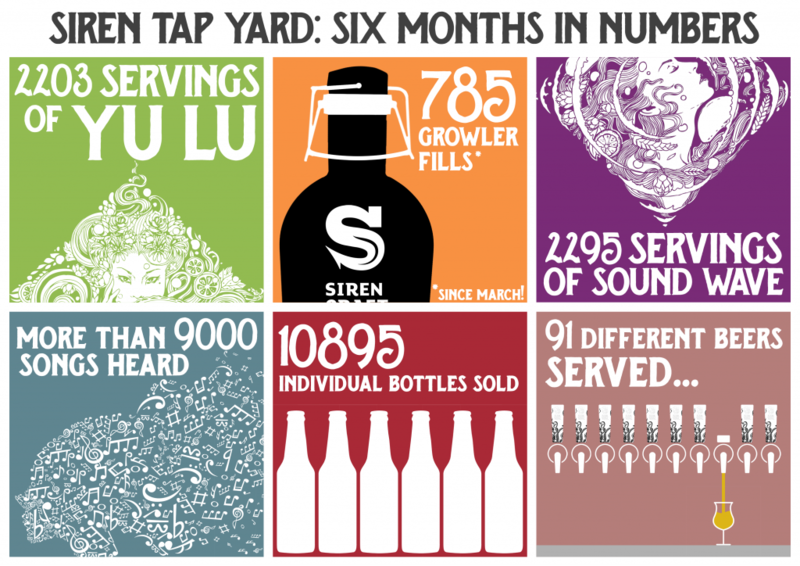 The Tap Yard’s popularity continues to grow and we’re super grateful to all of you who come and enjoy the place. We’ve been stepping things up a bit and so we wanted to tell you and about the new things, what we’ve got going on and what’s coming up later in the year. Those of you who’ve been by recently will know that we usually have a great selection of bar snacks available, freshly bought in from our carefully chosen suppliers. These normally include the incredible variety of scotch eggs from Pig & Hay and vegan ‘Sausage Rolls’ from “We Are Friends”. Feedback on these is always great, but if there’s anything you’d like to see us stocking then let us know. In addition to this, on every Saturday throughout the summer we have a delectable selection of Street Food vendors to keep you all well fed. So far we’ve had stone baked pizzas, authentic Italian polenta chips and a mixture of Sri Lankan dishes. All of which have been super popular with those visiting. Coming up with got toasties, mexican, vegan treats, Mac n cheese and much more. Check out the full summer line up here, or follow @SirenTapYard for updates! Again, if there’s something that you’d like to see, or if you’re a food vendor looking to come along and pair up with some great beers here at the Tap Yard then get in touch to let us know! Our summer party is back, and it will be bigger and better. This year’s Sessions & Sour party will feature not only some of our best sour and session beers but also some guest beers from some of our favourite breweries. Of course, we’ll have a selection of food trucks on site as well so there will be something for everyone. 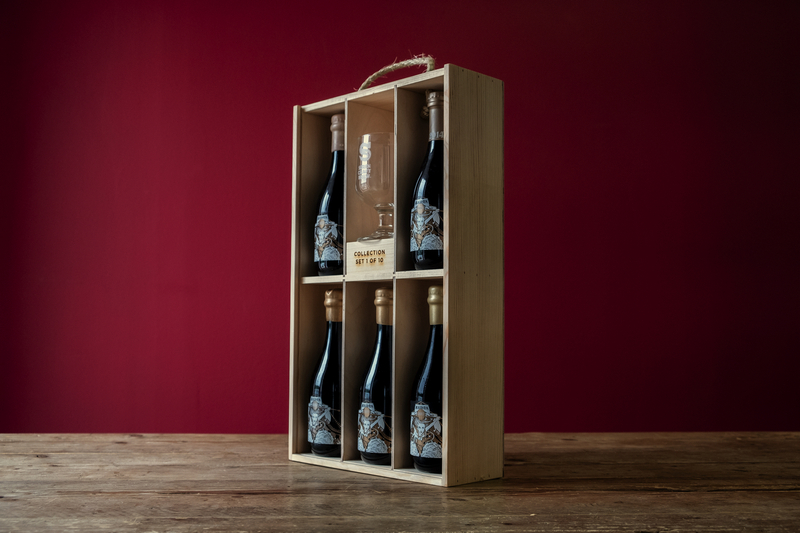 As this is our 5th year, we will have a few of the 10 very special numbered commemorative display boxes with all 5 vintages of Maiden up for sale. We expect demand for these pieces of beer history to be high, so on the day we will take a list of everyone who wants to buy one and the lucky few buyers will be drawn at random. You will have to be here to have a chance to get your hands on one. We will be playing on transport to and from Wokingham Train Station, or you can catch the Reading Buses Leopard 3 bus service, which stops right outside the estate. If you’d like to stay over, we’ve arranged a special discount at a local hotel, The Kingsley at Eversley. Just quote 'Siren Craft Brew' when booking over the telephone and you'll get 10% off their nightly rate. Of course, kids and dogs are welcome and won’t need a ticket. Stay tuned for more updates as to what’s going on… it’s going to be a great afternoon though so get your ticket now! Tickets are £13.00 (+ Fees) for which you will receive a souvenir glass for the day and drinks tokens to the value of around £10.00. 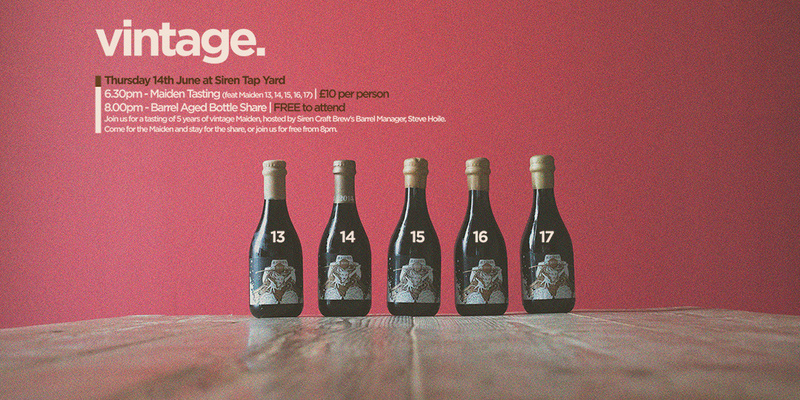 Another new feature for the Tap Yard is our regular tasting events, pairing events and bottles shares. So far we've already had a couple of Cheese pairing sessions, which have gone down a storm with the local crowd. The next pairing event will be beer and whiskey and is guaranteed to be special. One very special tasting session just gone was a Maiden event; a tasting of 5 years of Maiden. It was a sold out event with a mixture of local regulars, some new faces and in fact with extras joining us as some of our friends from Waitrose had come by. Our guests had the pleasure of our barrel manager, Steve Hoile, leading the proceedings, assisted by Tap Yard Manager, Matt Crook. Everyone loved hearing about the process behind Maiden and our commitment to barrel ageing in general. Maiden fits with our nautical theme; when it's first put into barrels it is in essence a rudderless ship - no one quite knows how it will age and where it will end up. After weathering that storm, our team give the beer direction. As for the bottle share, some great beers were brought to the party. Some highlights included older BrewDog Abstrakts, Cloudwater's BA Black Forest Stout, a set of Electric Bear BA beers, a smoked Left Handed Giant beer and some of the older Siren bottles. There were even some beers from far afield, such as Lickinghole Creek Brewery's Bourbon BA Blueberry Obsession, hailing from Virginia. The bottle shares are proving to be a popular event, giving everyone a chance to talk beer and share and share alike with like minded people. As the beers flow, so does the conversation. 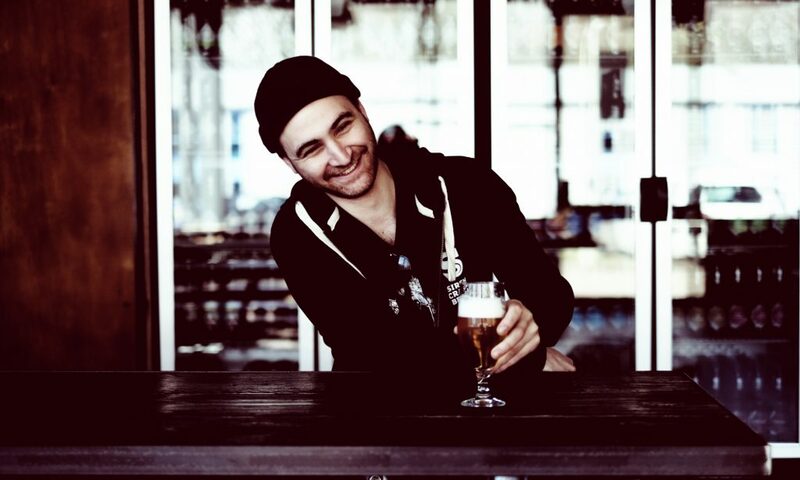 To finish out the blog, here's a word from Tap yard Manager, Matt. "Hey folks! It's been fantastic getting to meet you all over the past few months, from my week in week out regulars, to those who come in from further away. Some of my favourites have been a couple who found us by accident and after trying a beer on draft bought a box full of beers and left. They came back about an hour later, having booked a local AirBnB and stayed all night! Another couple were in London on holiday from Italy and specifically came over to the Tap Yard as they'd had a Siren beer on their first date. I'm loving the summer street food events, and can't wait for the rest to come along - all the food has been amazing and the atmosphere is awesome. We've also got loads more pairing events, a boilermaker class and some themed bottle shares. Keep an eye on @SirenTapYard on Twitter for updates... Oh, and keep on bringing in your dogs, they make my team's day!"